Welcome to my Pages for my Resin Ball-Jointed Dolls! Sept 2016 -- Added (Tiny) Kalanath Gallery. New photos added to (Tiny) Aisling's Gallery. June 2016 -- Added (Mini) Hyacinth Gallery and (Tiny Anthro) Nemo Gallery and (Tiny Pet) Ringo Gallery. May 2016 -- Added (Large+) Evangeline Gallery. April 2016 -- Added (Large+) Duke Gallery. ARAQIEL -- Soom Sard: A Night Odyssey, ws. SOKARIS -- Soom Euclase: The Last Judgement, gray skin. ARION -- Soom Heliot: The God Master, cream white skin. ANUBIS -- Soom Ender: Lord of the Dead, brown tan skin. THORNE -- Soom Beauty and the Beast-- Beast MD Jan. '13. CALIBAN -- Ringdoll Frankenstein, grey skin. YUKIO -- RamCube Black Leopard Kyle, white skin. VALDRIN -- MiroDoll 68cm, black skin. BAEKHO -- BNB Doll 65cm, white skin. VALENTIN -- Iplehouse, Noctarcana Circus, EID, Tedros Circus Master, special real skin. RAVEN -- Iplehouse, Noctarcana Circus, SID, Theo Snake Charmer, special light brown skin. CATRIONA -- Iplehouse, EID, Carina, Basic, white skin. MARQUIS -- Iplehouse, EID, Rex-Special Forces, light brown skin. EVANGELINE -- Iplehouse, SID,Eva Basic, normal skin. SINJUN -- Granado Charles, pink skin. DUKE -- Granado Neptune, suntan skin. LONDON DRAKE -- Dollmore, Glamor Model, Snake Kiss: Nayuta, ns. TRYSTAN LEONIDAS CASSELL -- Crobidoll Leo Limited G-Line, ns. ELURIN -- Cerberus Project, Delf, Elf El, bw. LOTHIRIEL -- Cerberus Project, Delf, Elf Lishe, bw. YDRAHIL -- Cerberus Project, Delf, Elf Yder, bw. MINA -- Cerberus Project, Luts, Delf, Miyu, ns. TAMASHIROU "Tamlin" -- Volks, SD-13, Shiro Tachibana, One-Off, ns. TSUKIKO -- Volks, SD 13, Cyndy II, ns. GWENA�L -- JollyPlus (DollHeart) -- Arbor, ns. KAI -- Lumedoll Keid Ara, Light Pink. SCARLETT -- Crobidoll Sinbi One-Off, Soft White. FEYLIN -- Immortality of Soul, Blood, new white skin. YVAINE -- Immortality of Soul, "S", new normal skin. ROWAN -- PeaksWoods Mad Hatter (Dandy Bella), suntan skin. VIOLA -- Dollstown Seola, Fresh skin. LILLY -- Doll in Mind Lalia, normal skin. SNOWBERRY -- Kaze Kidz, White Faun Nelly, ws. KIYERI -- KazeKidz, Blue Koneko. IKAROS -- Souldoll, Souloid, Iraki, v.3, ws. THALIA -- Doll-Chateau, Alberta, ws. VYVIAN -- Impl Doll, Vivien, ns. AMARANTHE -- Doll Leaves Amara, grey skin. IRUSAN -- Fairyland Minifee Karsh, normal skin. TARANIS -- Soom Faery Legend, Auber: Storm Sprite, Fullset, grey skin. AVERNUS -- Soom Faery Legend, Metato: Keeper of the Heart, normal skin. NIK THE IMP -- 5StarDolls Aiden, limited red skin. AISLING -- The Mushroom Peddler Willow the Impling, limited blue skin. SNOWDROP -- Bambicrony, Misty Blue Elf Kumi. NIGHTSHADE -- Bambicrony, Light Slate Gray Elf Pepe. COBWEB -- Tinybear/Sleeping Elf Bracken, ws. MOTH -- TinybearSleeping Elf, Moona , ws. NETTLE -- Fairyland, Real Puki, Aki Shadow, ws. JINX -- Fairyland, Real Puki, Soso, ws. RUE -- Doll-Chateau Jodie, white skin. PERIWINKLE -- K. Lasher Dolls Ningyo,normal skin. NIXIE -- Dreamhigh Studios Nox, grey skin. VERVAINE -- Vertales Vert, milk skin. CHANDRA -- Sugarble Naga Tail Adrian (No. 3), purple tail, grey skin. KALANATH -- Sugarble Naga Tail Patrick (No. 2), emerald tail, ns. SAHARA -- Hujoo Azela, normal skin (ABS, not resin). OMARI -- DearMine Dune, cocoa skin. BAST -- DearMine Heather Million Rose, white skin. ASH -- DearMine Nocturn Eclipse, white skin. "FRECKLES" TORCY TRIATH -- Elfdoll, Alice Cherry Blossom v.2, Homme skin. SETH -- Pipos, Bao, Ivory skin. JUSTIN LEON ALASTAIR, Duke of Avon-- Luts, Delf Zuzu, Duke Lio, White skin. HARRY HAREDINI-- CocoTribe, "Jerry's Magic Show" One-Off, Strawberry skin. KIT MARLEY-- Pipos, A Midsummer Night's Dream, R. Derek, grey skin. PISTACHIO -- Pipos Tomo, Pistachio Green. CHARTREUSE -- Soom Toad-- Frog Prince, Light Green. AKIHIKO -- Dearmine Nekomata ROY, white resin. MIRO -- Dearmine Picasso Bean, Bitter faceup, white resin. NEMO -- Dearmine Picasso Bean, Antique Punk, Cocoa resin. CITLALLI -- Dearmine Lupy Canaria. RASPBERRY -- Connie Lowe, Marbled Halls Sprocket Pet Rabbit. BUMBLEE -- The Mushroom Peddler Buzz the Bee, white resin. KITTIBUN -- BJD Pets by Olga Sidorovskaya (Eve the Cat), Oriental Chocolate. RINGO -- BJD Pets by Iplehouse, Space Black, ws. "THE FAIRY HOUSE" -- Hand-made doll-house by doremi. Taken in 2011. I've added quite a few since then! ASHE -- Noix de Rome Elf Head on Volks dollfie body. ROKA -- Obitsu customized head and body. WHAT ARE ASIAN BALL-JOINTED DOLLS? In Volks, Inc. of Japan designed, produced and popularized cast, highly posable, polyurethane resin dolls, held together with heavy elastic. Growing out of the popular resin model kits, the first dolls were meant to be highly customizable, assembled, painted and finished by the owners. Now, more complete dolls are sold, but the inter-changeable eyes and wigs and clothes, and the relative ease of wiping the paint and re-painting, and sanding and altering the resin remains--and is one of the allures of these dolls. The posing and playability is also appreciated. Owners love to change the looks of the dolls--customizing them to create their own characters. Certain heads and hands and legs can be interchanged. Photographers, writers of photo-stories, clothing designers and seamstresses, doll-makers, accessory-makers and others have also fallen in love with the dolls and express their creativity through them. Many other companies have created and sold their versions of these dolls, most originating in Asian countries, notably Korea, but independent artists and studios are now producing these dolls all over the world. RE-CASTS. Bjd buyers should beware of buying a "re-cast" or illegal copy of a doll. Re-casts are made by counterfeiters who take a doll apart and make casts and then cast the parts in resin to create a copy. This IS illegal. It is also unethical to the doll artists and makers who work hard on the original sculpts. All legitimate BJD websites do not allow re-sculpts to be discussed or pictures to be posted. It is difficult to spot a copy, but signs are: In an ebay auction--no mention of the sculpt or company, illegal use of company photos/no owner photos, price is maybe half as much as true market price. In-person, the resin parts may be slightly rough and ill-fitting, or be missing details, like wells for magnets. The skin color may not be the same as the real dolls. Resin is unregulated and may be badly cured or have flaws, bubbles, etc. Sometimes you can see that the doll is very slightly smaller than the reaL thing, because shrinkage happens in the resin re-casting process. MORE RE-CAST INFO : Counterfeits on Ebay and how to Report Them, Why RE-CASTS are EVIL. Tumblr Post :Great Info on How to Buy BJDs Safely and avoid getting a counterfeit/fake. DEN OF ANGELS : Ball-Jointed Doll Forum. This is the oldest and largest BJD Community in the world. In its present form since 2004, it has thousands of members with many active discussions and News thread, plus a very extensive Marketplace for dolls and related items. The joining process is a bit difficult due to a need to make sure members are legitimate and not scammers or members banned for breaking rules or being bad sellers. BUT it is very worth having access to this forum if you wish to research BJDs and find local members. BJD_WTF : Older Ball-Jointed Doll information site with general information. More of an "Intro to BJDs." 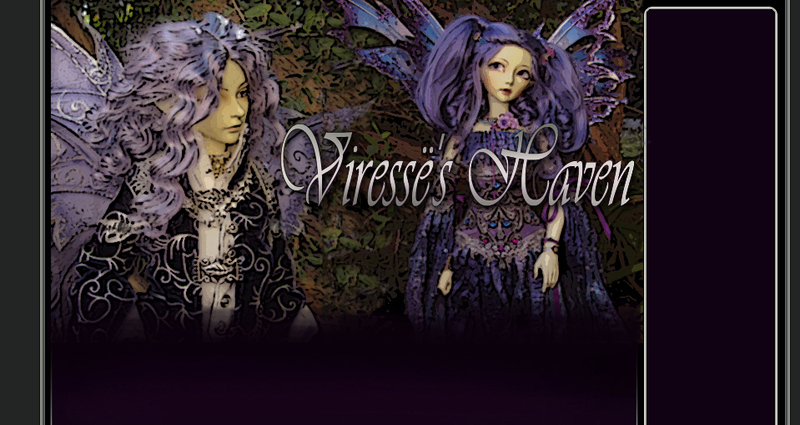 There are also other BJD boards, such as THE RESIN CAFE, specializing in JPopDolls and Kaye Wiggs Dolls, but also general interest BJD dolls and information. 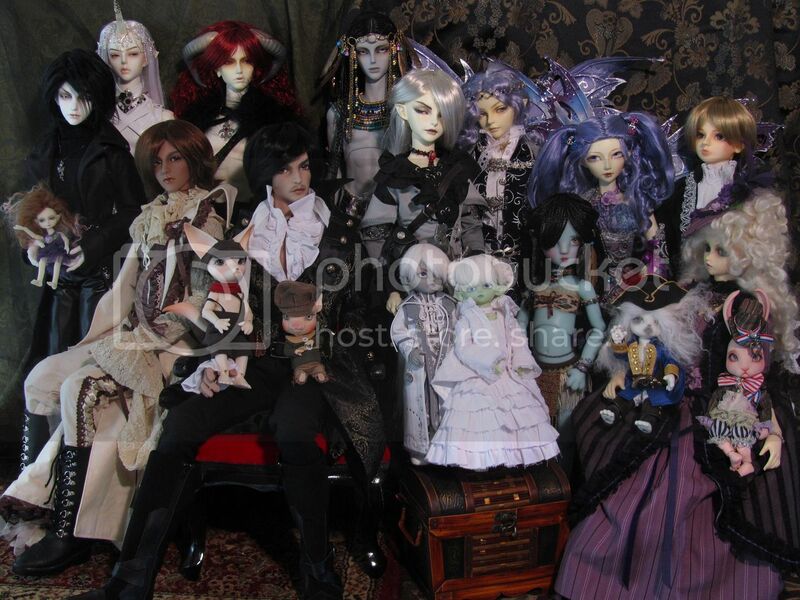 ZONE OF ZEN is a long-standing group of BJD-owners. There are various FACEBOOK bjd groups. Also bjd groups on DEVIANT ART.